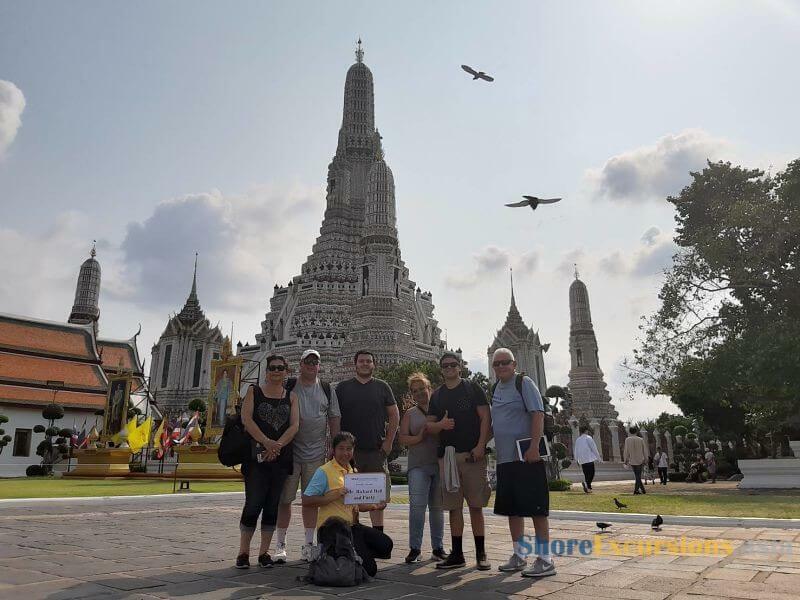 Asia Shore Excursions provides the best for Cambodia shore excursions for cruise passengers stop at Sihanoukville port to visit the highlights of Cambodia such as Sihanoukville, Phnom Penh and Siem Reap (with the famous Angkor temples). 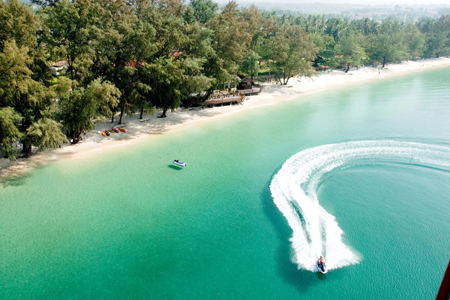 In each place, we offer you the best Cambodian day tours and short trips to visit the must-see. 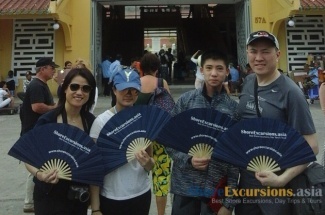 Each tour was carefully designed to offers you a wonderful experience. 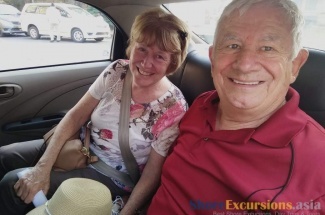 Please keep in mind that if you cannot find any Cambodia shore excursion that meet your needs, we also offer tailor-made Cambodia shore excursions that suit many budgets and interests. 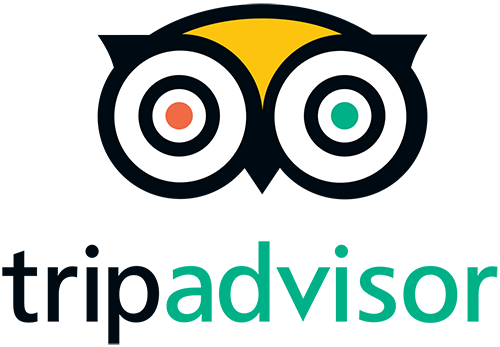 Contact us now to get your best Cambodia tours. 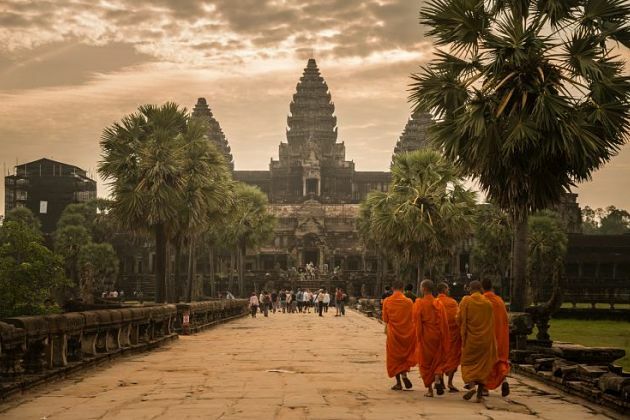 Cambodia is a pristine country with scenic highlights, historical and cultural sites hiding behind the impressive array of the ancient monument of Angkor Wat complex. More than this, due to a long time being a colonial, this country is dramatically affected by French style revealed in several faces including culture, architecture, cuisine, lifestyle, and so on. 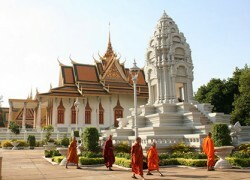 Asia Shore Excursions would like to recommend top things to do and see before you hop on a Cambodia shore trip. 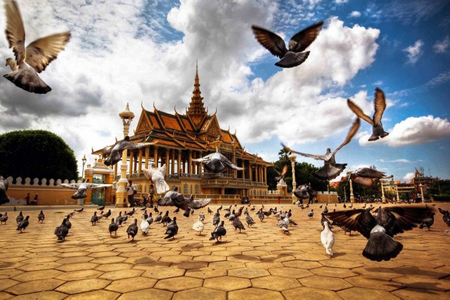 Was formerly home to the Royal family, the Palace is one of the most popular attractions in any Cambodia or Indochina shore trip. 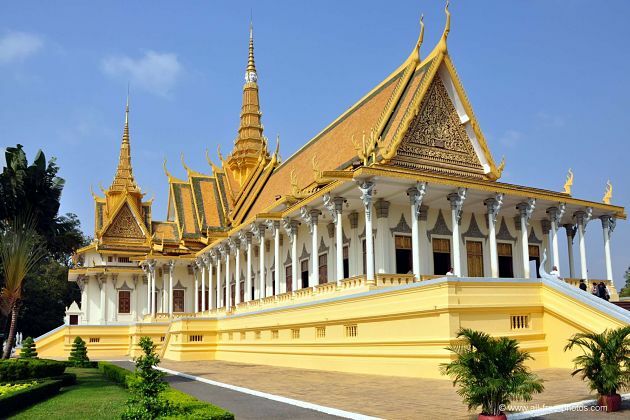 Due to its important meaning to the whole country, the Royal Palace is covered by the gilded roofs and designed following the classical Khmer architecture. 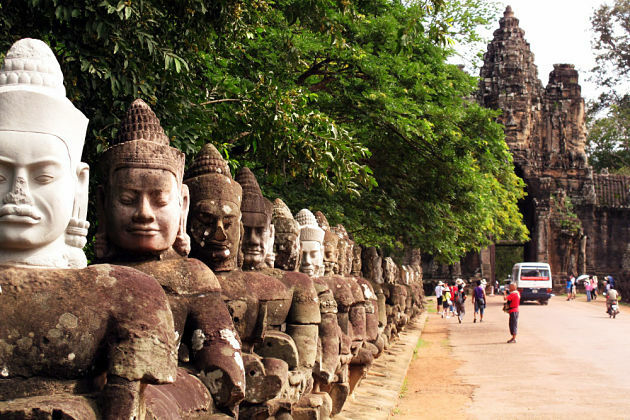 This attraction is also a sacred site considered as a perfect copy of Bayon tower in Angkor Wat temple complex. Take a stroll around and admire the 59-meter-high spectacular Throne Hall. No one can claim that come to Siem Reap without a visit to Angkor Wat Temple Complex. Having the name of the complex, Angkor Wat is the main temple designed following the ancient Khmer architecture. 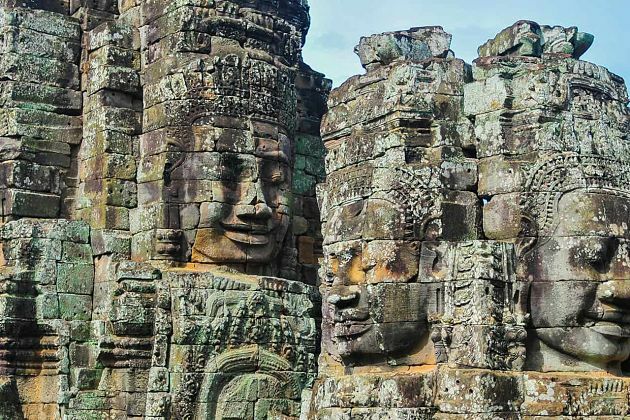 From the old days, Khmers had known how to turn sandstone into a manmade durable masterpiece. Explore the ancient Khmer culture through several images which are carved on the bas-reliefs of the temple showing their daily life. Above all are the pictures of God and Saints who were blessing Khmers with health, wealth and luck. 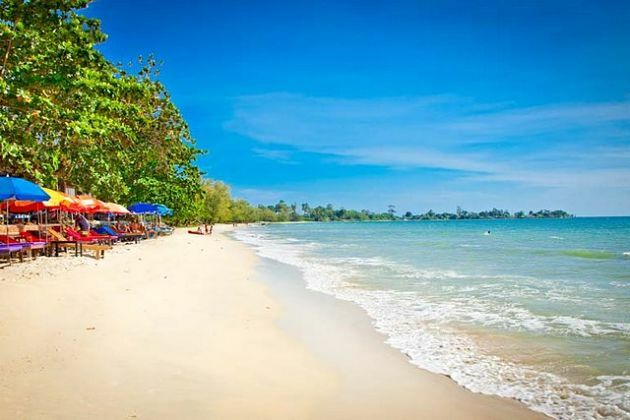 Sihanoukville is a truly perfect tropical paradise which suits every vacation, holiday and honeymoon. Take a deeply swim in the fresh clear water, then go snorkeling to have a real-touch with several fish species and other sea animals. In case you only want a serene vacation, enjoy the beautiful sunshine by lazily lying on the stunning sandy beach. On the Bamboo Island nearby, sample a savory BBQ meal with freshly caught seafood. Having the name of the old capital of the Khmer empire, Angkor Thom temple is the second home built by the order of the King Jayavarman VII if the first one is attacked by enemies. Angkor Thom is nearly inviolable with an 8-meter-height wall and a massive moat surrounding. 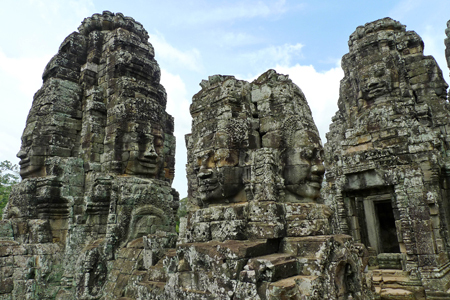 The design is the same as Bayon temple with four huge faces looking at four different directions. The causeway leads to the temple is lined up by over 100 statues which are gods and demons telling about the Hindu legend of “The Churning of the Ocean of Milk”. Right to the name, Silver Pagoda is covered by a layer of silver that have the weight over 8 tons making it shine sparkly in the sunshine. Although being cruelly destroyed by the Khmer Rouge, this pagoda is one of the very few places that still can maintain various ancient items and artifacts. 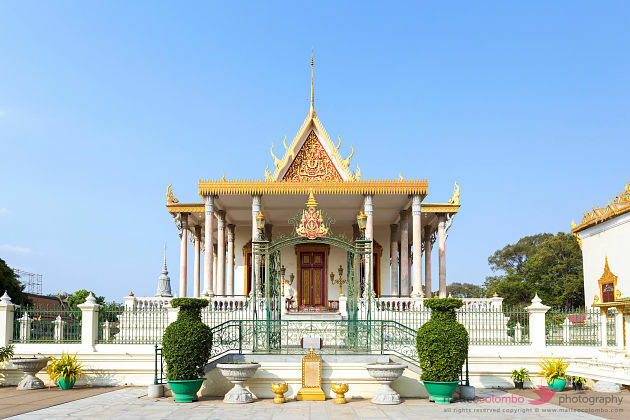 Silver Pagoda is undoubtedly a religious site full of jewels with the main attraction is the crystal Emerald Buddha sculpture sitting on a gilded pedestal. Moreover, the masterpiece of the golden Buddha statue nearby is covered with 2000 diamonds adorned. 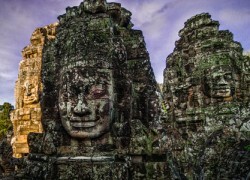 Bayon temple is home to 54 towers where over 200 faces carved into the stone surface. Be built as the order of the King Jayavarman VII, these faces are the portraits combined of the king and the Buddha. With the classical Khmer architecture, the temple is divided into 3 levels with different shapes, the two first ones are rectangular and the third is circular. 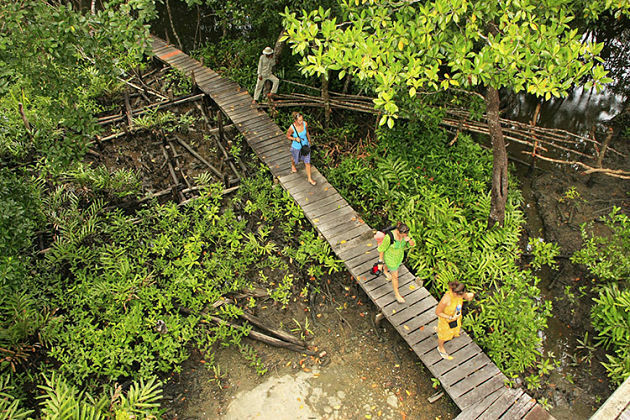 Once getting a foot in this National Park, you can explore the mangrove ecosystem with tropical jungle, rivers, and lush green islands. Soak in serenity atmosphere while your ears hearing voices of bird all the time. 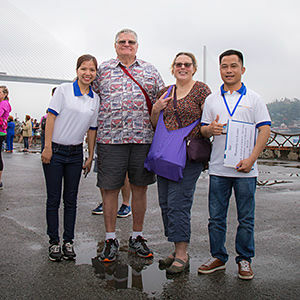 This park is also home to a variety of species such as bird, sun bears, monkeys, fishing cat on the land, and turtles, dolphins and even dugongs known as the mermaid on the ocean. Trekking along the park and finally stop for a while at the beautiful sandy beach to enjoy the beautiful sunset. 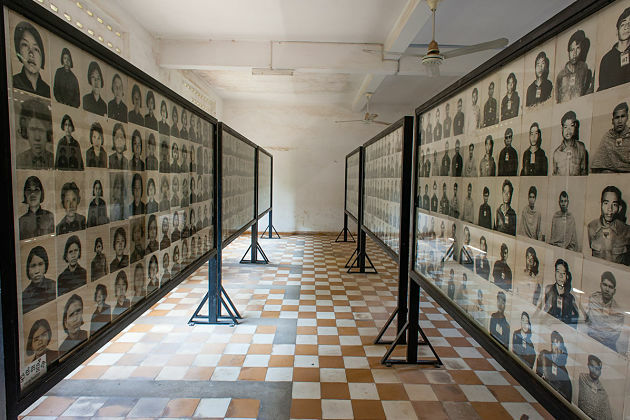 Toul Sleng is the must-visiting place where you can discover the crimes of Khmer Rouge. Had been a peaceful high school, this place was turned into a prison where the Khmer Rouge confined, tortured and then killed nearly 20,000 prisoners indiscriminately men, women, old men, and even children. More than this, the Pol Pot Government show their madness by taking photographs of every prisoner before and after torture. These photos now become the proofs which against the crimes of Khmer Rouge. Nearby is Choeung Ek killing field where the Pol Pot government ferociously had killed average 100 people per day. 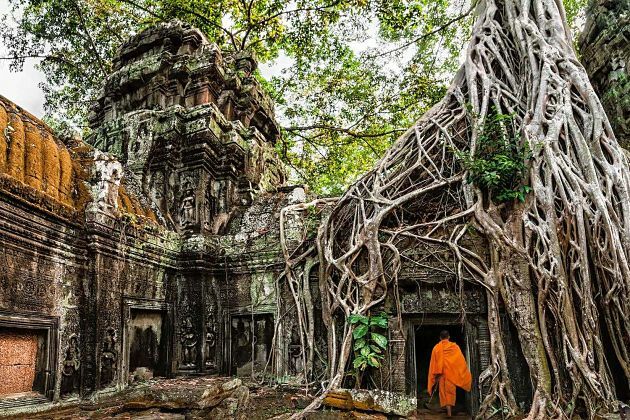 Hiding in the jungle, Ta Prohm temple is famous for the trees growing out of the roofs that put a scene from India Jones into real life. Different from the Bayon Temple which follows the face of the King Jayavarman VII, this picturesque attraction is dedicated to his mother and also represents the power of nature. Used to be a storage of valuable items including gold, pearls, and superior silks, this temple had a long time be forgotten after the fall of Khmer empire hiding deep inside the jungle.